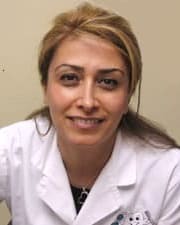 Dr. Taheri is very warm and friendly as well as a very caring dentist who takes the time to make you feel comfortable with the procedure that is being done at the time. We offer a complete range of general and specialized dentistry services to meet the many needs of patients of all ages. The general dentistry procedures performed at our local dentist offices include dental exams, professional cleanings, wisdom tooth extractions, gum disease treatment, bone grafting, sports mouth guards, protective night guards for snoring and bruxism, and more. Beautiful smiles are made possible every day with our cosmetic dental treatments. Our skilled cosmetic dentists can enhance your smile’s natural beauty with a wide array of treatments customized for your needs, including dental veneers such as LUMINEERS® and Vivineers™, along with inlay and onlay restorations and full mouth reconstructions. A brighter smile can be yours with your choice of a take-home whitening kit or an in-office whitening with Zoom WhiteSpeed. Moreover, you can depend on our in-house orthodontist to straighten your teeth with traditional metal braces, clear braces, Invisalign® clear aligners or Phase 1 Orthodontics. In case you damage your teeth or develop tooth decay over time, our Manassas dentists can gently restore your smile with composite fillings, dental sealants, porcelain crowns, bonding, bridges, both full and partial dentures, and a variety of dental implant options. For more advanced dental concerns, our onsite periodontist can address your dental needs with the ideal procedures, such as laser dentistry, crown lengthening, soft tissue grafting, gum graft surgery, periodontal scaling & root planing, and periodontal surgery, among other services. We always carefully explain our treatments, answer all of your questions, and recommend the procedures that are right for you and your smile before beginning any work. When you want a healthy and beautiful smile, our Manassas dental office is the place you want to be. Our office is located at 10630 Crestwood Dr, Ste B, Manassas, VA 20109. You’ll find us on Crestwood Drive near the Wells Fargo and Capital One banks. If transportation is a concern, we are located close to a public transportation route to ensure accessibility for our patients. Our practice is open on Mondays, Tuesdays, Wednesdays, and Thursdays from 7:00 a.m. to 4:00 p.m. and on Fridays from 7:00 a.m. to 12:00 p.m.. We open our doors before regular business hours to offer early-morning appointments for our busy patients who prefer to schedule visits before work, school, or personal obligations. If you suffer a sudden dental emergency, you can depend on our practice for emergency dental care. We do our best to arrange treatment as quickly as possible to provide you with rapid relief. Our office staff speaks English, Spanish, and Persian to ensure that you, your family and the local community feel comfortable making our practice your dental home. Call us at (703) 574-0971 today to schedule your appointment or book an appointment online. You want your smile to look and function at its very best. At Taheri Dental Group of Manassas, our knowledgeable, compassionate professionals strive to give you and your family the best dental experience, helping you achieve a lifetime of good dental health. Our full-service dental care center offers a comprehensive range of general dentistry services, cosmetic dental procedures, orthodontic services, periodontics and dental emergencies for adults, teens, and children, from as young as two years old. By offering all of these dental services at our dentist office in Manassas, individuals and families have access to the comfort and convenience of a one-stop dental care center. We look forward to providing high-quality dentistry and personalized care for you and your family for all of your dental care needs. Are You Looking for Affordable Dental Services and the Closest Dentist Office? We believe that dental care needs to suit your budget in order to suit your life. At our Manassas dentist office, we make healthy smiles affordable for everyone. We accept many insurance providers and our helpful office staff will submit the necessary insurance forms to help you receive your maximum benefits. We also offer flexible financing through the CareCredit plan, which allows you to cover the cost of your treatment in more manageable monthly installments. Our dental team is happy to provide you with more information about all of your payment options. 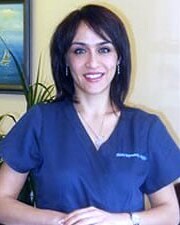 We would love for you and your family to trust your smiles to our capable experts. 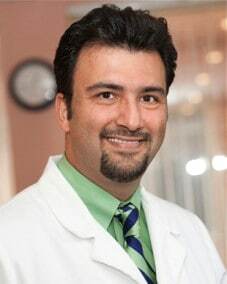 Giving hope to a patient and watching their reaction at seeing a newly restored smile are two of the primary reasons why Dr. Bruce Taheri chose dentistry as a profession. I recognize that a lot of patients are anxious about dental treatment. I can assure you that I will listen to your needs, and your comfort while in the chair is of utmost importance to me. 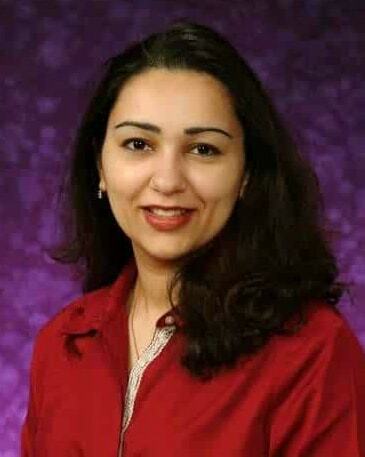 Dr. Kermanshi prides herself in providing the highest quality of care in the most gentle and efficient manner possible. The office features a friendly, calm environment to put you at ease during your visit. All of our treatment rooms have televisions to keep you entertained and comfortable. © 2019 Taheri Dental Group of Manassas.